To maintain a steady cashflow, companies often end up entering into more contracts than they can “chew”. When resources are spread too thin, those same companies need to hire a third party to successfully perform the tasks stipulated under the original contract. This process is known as subcontracting. Given their specialization, subcontractors can often fulfill the same tasks more efficiently and affordably than the original contractor. However, it is important to establish a subcontracting legal agreement that covers your company against “squeezing”. In this article, we will discuss what a subcontract squeeze is and how to prevent it. Scope Creep from Customer – The customer expects the original contractor to deliver additional services than originally agreed upon, or beyond the scope of work of the subcontract. Change Orders from Subcontractor – When the subcontractor requires substantial change orders that cost more than your allotted profit margin. 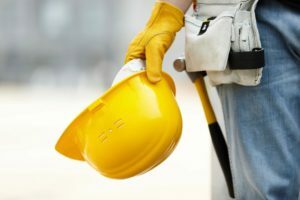 Failure to Perform by Subcontractor – If this happens within a short window before the due date, then the original contractor may have to eat a substantial part of the damages awarded to the customer. This first step in subcontracting is essential to prevent failure to perform by the subcontractor. You want to make sure to do your due diligence when selecting a subcontractor who is capable of not only completing the job on time and on budget, but who also has a long track record of doing so. It’s also important to request references and recommendations from other clients from each subcontractor to develop a full picture of each subcontractor’s modus operandi. Invest as much time as possible when evaluating candidates and avoid judging them on price alone. Ideally, you want to build a long-term relationship so that you can work with this subcontractor on future projects, not just this one. The second step is to parlay the statement of work from the contract with your client and that from the contract with your subcontractor. Here is a review on how to improve a contract’s statement of work. Make sure to have a clear understanding of the terms, conditions, service level agreement, and pricing requirements from your client. Seek advice from your legal, financial, and procurement teams to define the scope of work of the subcontract. It’s a best practice to use contract management tools like contract management software to keep track of all stages of this process. Benson recommends using competitive sourcing and benchmarking data to analyze subcontractor pricing and achieve lower rates than may otherwise not be available. In the third step, you should share first share your ideal statement of work with your subcontractor for his review. Also, make sure not to share your customer’s name and his terms and conditions with your subcontractor. The subcontract should use language that establishes a relationship only between you and your subcontractor. You should also pay close attention to any requested revisions from your subcontractor; particularly the ones that relate to the process of requesting change orders, as these clauses can radically reduce the profitability of subcontracting your original contract. During the negotiation with your subcontractor, he may have requests for flow ups. Benson provides some examples of flow ups, such as limitations on a customer’s right to use subcontractor’s software, rights to audit subcontractor records, limitations on access and use of subcontractor data. Be aware of these requests and evaluate them as necessary. Benson recommends that the subcontract includes “all action items, milestones, deliverables, service level agreements, and other key performance metrics due from the subcontractor.” She adds that the subcontract should also include “the termination rights, price changes, change control procedures, service level monitoring mechanisms and other key compliance terms”. Additionally, a key element in the final subcontract is an Operating Level Agreement (OLA). An OLA establishes how a subcontractor interacts with other subcontractors, if applicable, and with your company to deliver services to the customer. This defines who does what, when it is done, how issues are resolved, and how performance is evaluated. By focusing on the four phases of subcontracting process, your company can prevent the three common sources of squeezes in subcontracts.